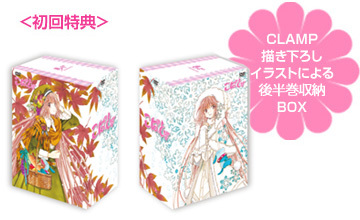 The Box will come with the limited first edition of Kobato. DVD #7, to be released on July 23. Totally xD Definitely not as active as Tsubasa or XXXHOLiC. >Definitely not as active as Tsubasa or XXXHOLiC. Maybe it’s because its release schedule and the rate the story is moving is slower? So pretty… that’s one for each season now, right?